Tweet "This guy is the funniest, freshest voice in Texas mystery writing today. His work stands out like a DayGlo parka in deer season." Bone Dry: Life can get a little wild from time to time for John Marlin, the game warden in Blanco County, Texas—but few incidents compare to the stories flying around town at the start of this new deer season. Hunters are reporting an incredible sight: a six-foot-tall, drop-dead gorgeous blonde is roaming the woods, searching out camouflage-clad men with guns and disarming them with powers of seduction the likes of which none of them have ever come across before. Everyone has a hearty laugh at the expense of a few embarrassed hunters, until one of their own turns up dead in the woods. Now Marlin has a real mystery to deal with. Meanwhile, rumors are spreading about a new Blanco resident, an ex-New Yorker named Sal Mameli who's ruffling feathers with his loud mouth and his penchant for getting his own way, no matter what the cost. Before long, John Marlin realizes he may be the only sane man in town, and he's starting to wonder if he can last much longer himself. 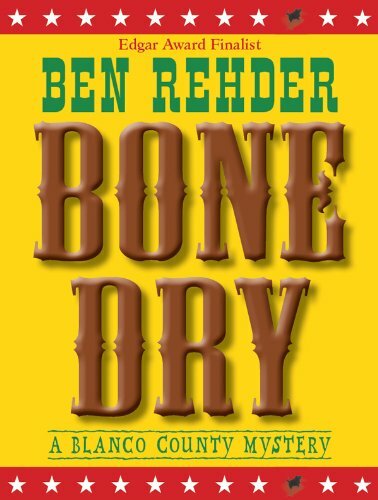 It's just the start of another unforgettable hunting season in Bone Dry, the hilarious second novel from Edgar finalist Ben Rehder. "You'd have to be Flat Crazy to miss a Ben Rehder book. This guy is the funniest, freshest voice in Texas mystery writing today." Bo Tully, sheriff of Blight County, Idaho, has seen his share of small-town crime. Fact is, everyone in the area knows Tully, and knows his Blight Way of doing things. But when he and his deputy hike into the deep woods, tracking a suspected bank robber, little do they realize that they are about to witness a murderand that, in turn, will lead the sheriff on an intricate trail, a series of twists and turns demanding his utmost attention and keenest crime-solving abilities. From the creator of the TV show Bonescomesa smart and funny debut thriller. The third novel in Ralph Dennis' great, but hard-to-find 1970s detective series that's been sought-after for decades by readers of the very best in crime fiction.